The following is a part of a sermon series I preached at Phnom Penh Church recently. Let me start with these questions? Why are there so many Christians who are spiritually unstable? Why are there so many believers who fall by the wayside and do not remain in the faith? Why are there believers who are always defeated? There are several answers to these questions, but I suppose one thing is certain: the reason for the lack of victory in many believers' lives is lack of spiritual growth. In what way, maturity brings victory in our lives? 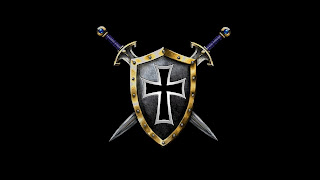 If you have been a Christian for quite some time, you realized that Christian life is a battle. Let us see what the Apostle Paul wrote more than 2000 years ago. This is spiritual battle and our enemies are invisible. Christian life is indeed a spiritual warfare, and the Christian who hasn’t grown and equipped cannot fight and win this battle. In real life situation, can you send a baby in the battle field? If you do, what would you expect? Can the US military send children to fight the war in Afghanistan? Or can the German government send its soldiers to the battle field without first training them how to fight and win? Can we send a child to the battlefield? We know this fact, but when it comes to spiritual life most of the time, this is how many of us do. We release immature believers in the tough battlefield of the world expecting them to win. But such immature Christians fail because they are not trained for the battlefield. In short; they have not grown enough to handle difficult situations. Wait a minute pastor, “what about David? He was just a kid.” I know but David had a giant-size faith comparing with that of King Saul. Even though David is a young physically, he is matured spiritually. There is another picture in the Bible why it is necessary for us to grow. Do you remember the story told by Jesus about the sower? Do you remember the Parable of the Sower? Four Kinds of Hearer or Four Types of Heart. This again shows the importance of growing spiritually so that when trials come we don’t give up. Those of you today who are here for the first time, try to take care of what you will hear so that Satan will not come and take it away. Last Sunday, I highlighted the four dimension of growth. Indeed, there are several aspects we must grow. We must grow intellectually, we must grow socially, we must grow physically, and we must grow spiritually. Now, let us take a look at our topic: Maturity Brings Spiritual Victory. To be even more specific, Spiritual Maturity Brings Spiritual Victory! For our text, let us look at 1 John 2 verse 14. These verses clarify VICTORY THAT COMES THROUGH GROWTH IN THE WORD OF GOD. If you want to obtain victory over the enemy, you must grow in the Word consistently. Thus, if we know what the Bible teaches and practice what we know there is a guarantee we will obtain spiritual victory. HOW IS THE WORD OF GOD RELATED TO OUR VICTORY? John said, "That you may KNOW you have eternal life." Jesus also said, "And Ye shall KNOW the truth and the truth shall set you free." How do we know the truth? These show the importance of knowledge and understanding. If we know the Word of God and practice what we know, are already victorious. It's true the Christian life is abundant life. Blessings, prosperity joy and happiness are found in the Christian life. But at the same time, the Christian life is full of challenges, problems, temptations, trails, and sufferings. That is a fact of life. Nevertheless, if we are strong spiritually, we can overcome those problems and trials. But, spiritual strength does not come automatically. We need to nourish ourselves from the Word of God. The defeated believers we see around us are signs that hundreds of believers are spiritually malnourished. I'll ask you this question. Are you nourishing your spiritual life or have been neglecting your need for spiritual nourishment? While knowing God’s Word is crucial to victory, obedience is even more important. We shouldn't only strive to know the Word of God, but we must strive know the God of the Word by obeying His Word. The problem of the Pharisees during the time of Jesus is they did not know the God of the Law. They know the law, but they don’t have spiritual relationship with God. There is a tendency to worship the Bible and know every letter of God's command and still far from God. We will become like the Pharisee who tried to follow the Old Testament Law but rejected Jesus. Let us be careful not to worship knowledge. Let us go beyond knowledge and Bible doctrine, we must know the God of the Word-this is personal relationship with God. Pause for a second here: How do we obey the Word unless we know the Word? Let's pause and ask, ourselves, HOW DO WE GROW IN THE KNOWLEDGE OF GOD'S WORD? We grow in the Word of God by constants reading, listening, studying, meditating, and applying.